All persons occupying or residing in the evacuation area are ordered to leave the area no later than 2 p.m. on Wednesday, February 22,2017. 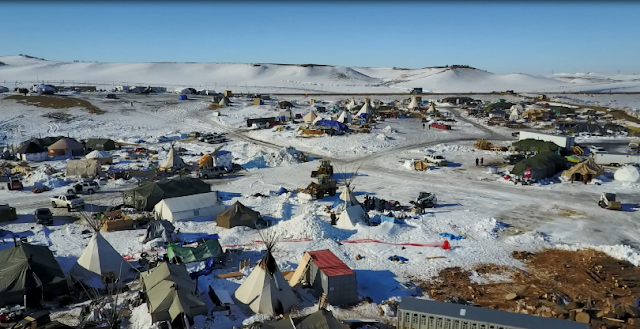 Of course, this executive order comes after the US Army Corps said in a court filing earlier this month that it had granted the final easement needed to finish the controversial pipeline. 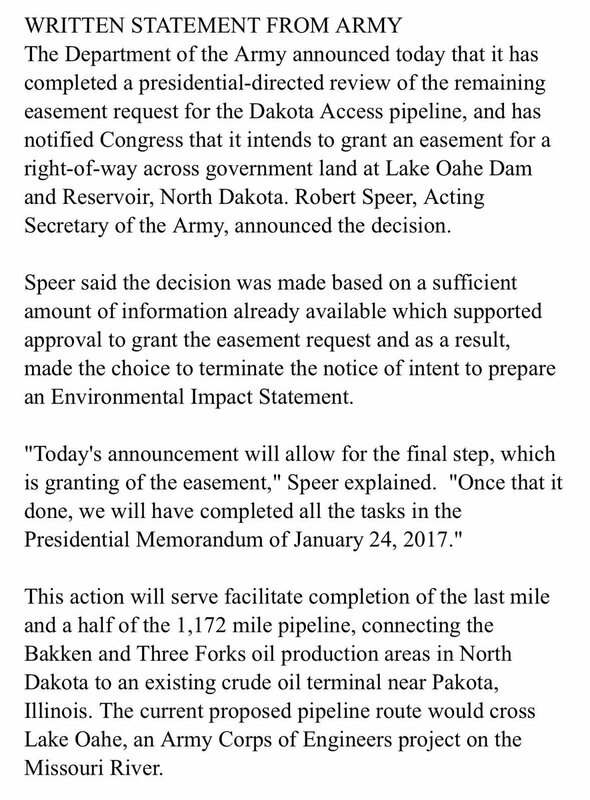 The easement was needed for Energy Transfer Partners to complete work on the last pipeline portion located under Lake Oahe.